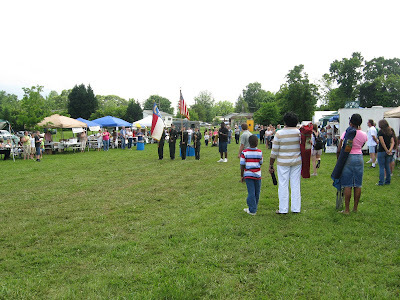 The West Rowan High School Junior ROTC opened up the 6th annual Cleveland, North Carolina Spring Festival. As always they did a nice job, and the guy who played the national anthem on the saxaphone was fabulous. The Spring Festival is now a yearly event. They have not come up with a theme as of yet. Then again, Cleveland NC doesn't have any specific claim to fame. It's just a small southern town of about 800 people. The biggest thing in Cleveland is the Freightliner truck plant, and they've laid off about everyone. But, today was a day to relax and not worry about things like the economy. 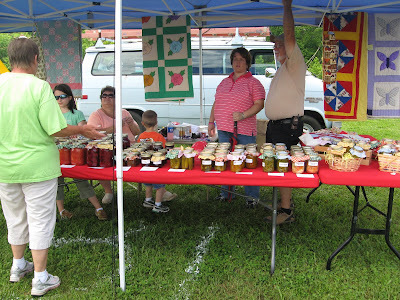 The Cleveland Festival is mainly food booths plus some arts, crafts, and homemade items. There are a few smaller rides for the kids. This year, they had some live music. Basically, it's a day when most folks in town get out and talk and get something to eat. Local groups make a little money to help with community projects. So, it's all good. There were a couple of booths with canned foods like tomatoes, beans, and jellies. Other take home foods included homemade yeast bread (had to get a loaf of that) and cakes, cookies and pies. 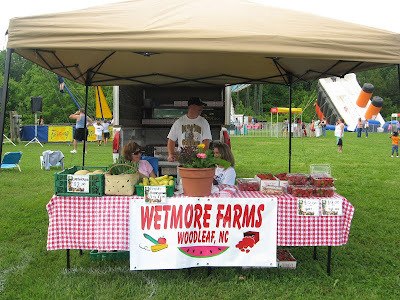 Wetmore Farms had a booth with fresh produce. The strawberries and yellow squash are in season as well as a few other vegetables. The farm is in Woodleaf, so we go there and get fresh produce during the season. They always have great produce, and they're really nice people too. 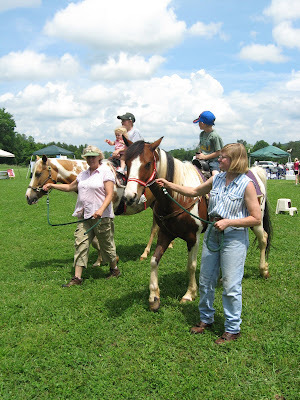 The kids really enjoyed the horse rides. One of the horses had a green eye and a blue eye. That was unusual looking. There were also some goats that the kids could pet. 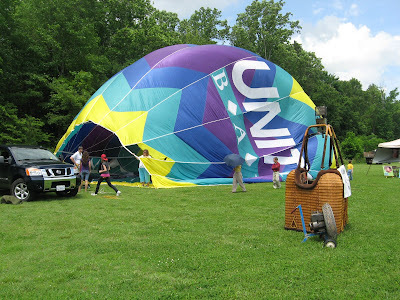 People at the festival enjoyed getting to go inside the hot air balloon. Sometimes they fly balloons in. It was kind of windy today, so I'm not sure if they were going to do that. That's usually later in the afternoon. Then, the festival ends with fireworks. I'm just a few blocks away and can see them from my yard, so I'll probably grill out tonight and enjoy the fireworks.